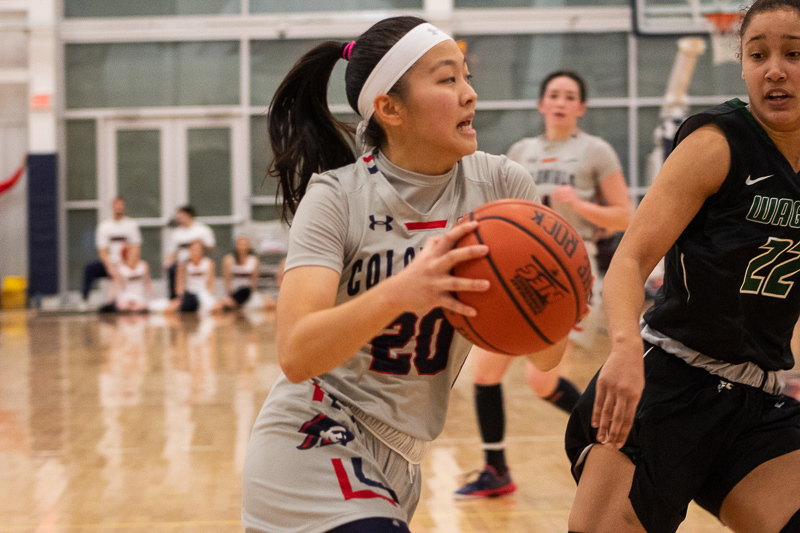 MOON TOWNSHIP -- Honoka Ikematsu drives to the lane against Wagner on January 26, 2019 (Samuel Anthony/RMU Sentry Media). 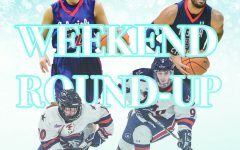 MOON TOWNSHIP — The Robert Morris University Colonials (14-8, 11-0 NEC) remained perfect in conference play as they dominated the CCSU Blue Devils (6-15, 3-8 NEC) in a 60-40 victory. 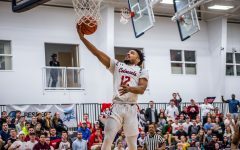 The Colonials seemed to lack one of their biggest strengths all year as the Robert Morris defense was nowhere to be found in the first half of the first quarter. It was a quick timeout by RMU head coach Charlie Buscaglia that changed the tide. Robert Morris rode a 6-2 run in the second half of the first quarter as the Blue Devils went nearly four minutes with a field goal. Despite that run, the first quarter ended with CCSU leading 16-11. The second quarter saw the Colonials return to their first-place form as they went on a 12-2 run. 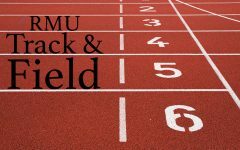 That was all RMU needed to get back into the driver seat for the first time since the first minute of the first quarter. 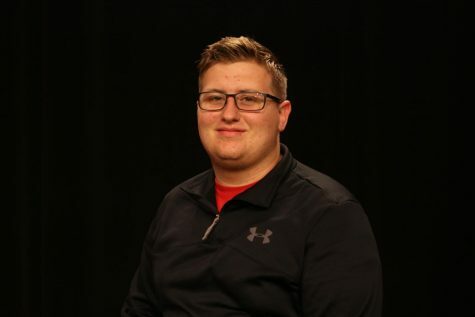 During the second quarter, RMU shot 46.2% which was a strong improvement from 31.3% in the first quarter. The team also played well defensively as they forced five turnovers in the second quarter. Honoka Ikematsu willed RMU into the lead as the sophomore guard led all scorers with nine points in the first half. CCSU’s Ashley Berube was a problem for the Colonials in the first quarter as the Blue Devils’ center had eight points and seven rebounds in the half. Berube ended the night with 10 points and 11 rebounds. When the teams headed into the locker room, the Colonials held a slight lead as the scoreboard read 25-22. The Colonials carried their first half momentum in to the second half. RMU went on an 10-2 run to open up the second half with six of those points coming off turnovers. RMU, the 17th best defense in the nation, forced the Blue Devils to cough the rock up six times and held them to just 2-11 shooting in the quarter. RMU’s offense kept rolling as the Colonials out-scored their opposition 20-9 in the third frame. This led to a much more comfortable 45-31 lead to start the fourth quarter. In the fourth quarter, tt was business as usual for the Colonials. The Robert Morris defense continued to dominate as they forced seven turnovers against the Blue Devils in the quarter alone. CCSU also only shot 23% from the field in the final quarter. In the entire game, the Colonials controlled the paint as they outscored CCSU 38-12 on the inside. Ikematsu and Nneka Ezeigbo combined for nine points in the fourth quarter. Ikematsu finished the night with 14 points. Not to be out-done, Ezeigbo’s final stat line read 15 points and seven rebounds. Ire Ozzy-Momodu finished with eight points and seven rebounds. 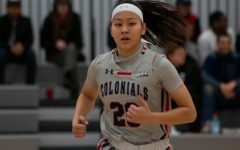 When the final buzzer sounded the Colonials won in a decisive fashion, 60-40, a drastically different score from the last meeting between these two teams in which RMU escaped with a 64-57 win in Connecticut. A notable absence from the Colonials bench tonight was redshirt senior Shakema Dashiell who missed the game due to a scheduling conflict. The Colonials will be back in action on February 16th, when they travel to Emmitsburg, Maryland. Tip-off against Mount St. Mary’s (10-12, 4-7 NEC) is set for 7:00 p.m.